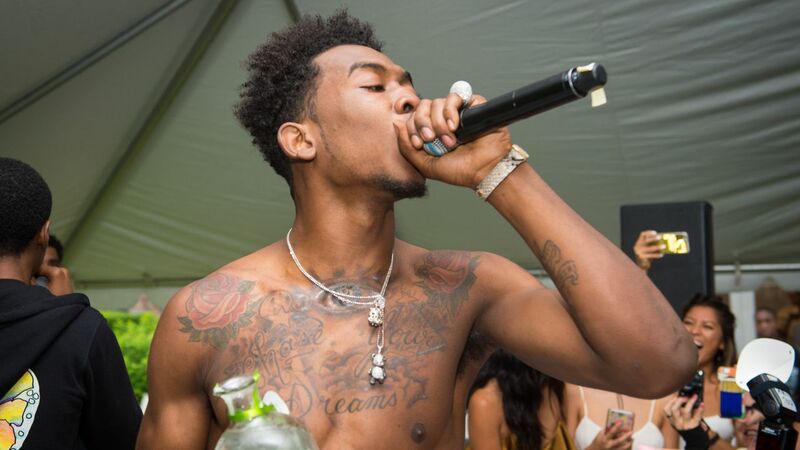 MIDTOWN, Manhattan (WABC) -- Misdemeanor drug and menacing charges against rapper Desiigner have effectively been dropped less than three months after his arrest in New York. Sidney Selby did not appear in Manhattan Criminal Court on Tuesday when prosecutors agreed to have his case sealed. Lawyer Stacey Richman says she's happy her client was exonerated. Police said in September the "Panda" performer waved a handgun during a road rage dispute while riding with friends in a hired car. But the 19-year-old wasn't charged with a gun crime, and his lawyer said no gun was ever found.